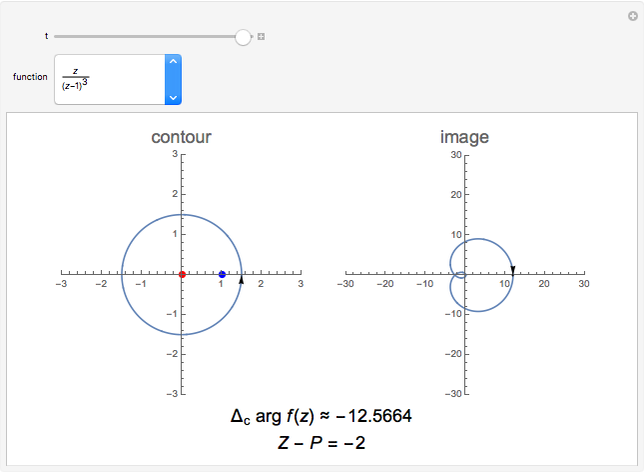 Let be a closed contour parameterized by in the range , and a function meromorphic inside and on . Define for some . The argument principle relates the change in argument of as describes once in the positive direction to the number of zeros and poles inside the contour. The change in argument for one complete circuit around is given by . The Argument Principle then states: , where and are the number of zeros and poles inside the contour, counting multiplicities. 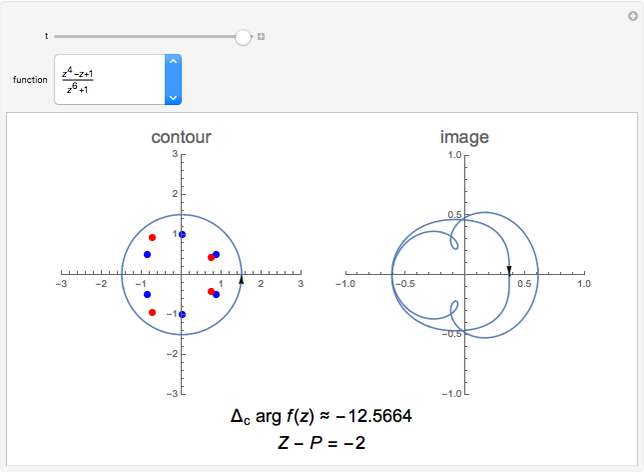 This Demonstration shows for six simple functions over a circular contour for in the range . At , is calculated from the final value of . The left pane shows the progress of over the contour. 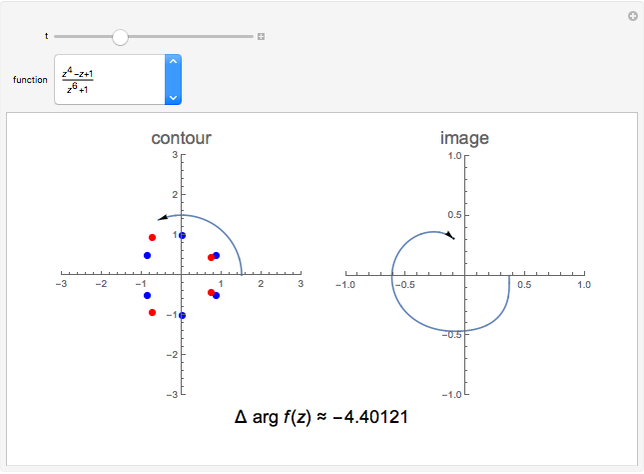 Zeros of the selected function are shown by red points and poles by blue points. In the case , the pole has order of three and is therefore counted three times. The same would be done for zeros of higher order. Dominic Milioto "The Argument Principle in Complex Analysis"